What does a Valuation Advisor do? Fairness Opinions- This is a detailed evaluation as to whether a transaction (merger, acquisition, buy back, spin-off or going private) is fair. Whereas management of a company is usually the driver behind the transaction, the fairness opinion is usually proof to the board of directors that management is acting in the company’s best interest and that the transaction is fair. It is protection against shareholder lawsuits, and often serves as evidence that the company did its due diligence in the transaction. Purchase Price Allocations- When a company is acquired in a transaction, the acquirer must allocate the purchase price in the transaction to the various assets (including tangible and intangible assets) and liabilities. If the purchase price exceeds the fair market value of the assets and liabilities, the amount exceeded is equal to goodwill. If the purchase price does not equal the fair market value of the assets and liabilities (also called negative goodwill), the assets are written down pro-rata to equal the purchase price in aggregate and the total amount of the difference is recorded in the income statement as a bargain purchase price. Tangible and Intangible Asset Valuation- Valuation professionals use the same theory of valuing an entire business and apply them to valuing assets. Assets, like businesses, can be valued using the income approach (cash flow generated), market approach (what is a typical asset selling for) or cost approach (what is the cost of replacing this tangible or intangible asset?). Typical intangible assets include workforce, customer relationships, trademarks, patents, royalty agreements, order backlog, etc. Step 1: Impairment testing involves valuing the equity value of the reporting unit (using the three approaches to valuation) and comparing it against the book value of equity (equity on the balance sheet). If the book value of equity is less than the fair market value of equity, than goodwill is not impaired. 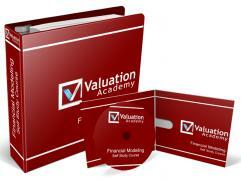 If the book value of equity is greater than the fair market value of equity, than a step 2 test must be performed. Step 2: A step 2 test is essentially a purchase price allocation (see above) where the purchase price is the conclusion of equity value calculated in step 1. The difference between the value of the reporting unit computed in step 1, and the aggregated value of identified assets computed in step 2 is equal to implied goodwill. If this value of the implied goodwill in step 2 is less than the carrying value of goodwill, then goodwill is considered to be impaired. Fresh Start Accounting- For accounting and financial reporting purposes, the procedure in performing a fresh start accounting is similar to a new acquisition. That is, the steps involved include estimation of value after the reorganization followed by the allocation of that value to the estimation of the fair value of tangible and intangible assets. The assets to be valued include all tangible and intangible asset value.